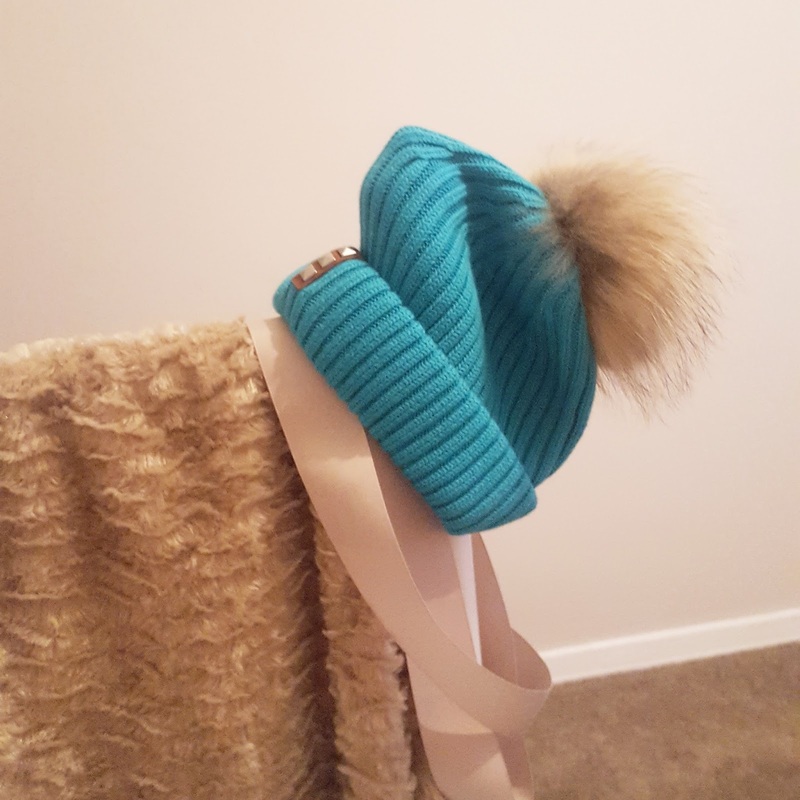 So autumn is fast approaching and BKLYN have been working with quite a few bloggers to produce some content about their luxury knitted hats. After corresponding with one of their PR's I decided to give one a go and he sent me this bright turquoise one. Keep in mind that I didn't choose the design or colour but I really like the one that was sent out. It's my favourite shade and the fluffy pom pom is a really nice tawny shade which I'm also quite fond of. I looked on their site and the one that I have doesn't appear to be online but they do have many other colours available. The hat is actually made out of marino wool which my gran used to rave on about as she has a mattress topper made out of the stuff. It's super soft and kind to hair according to their site. Priced at £55 it is a bit of a splurge but with autumn coming soon it's a fairly sensible one if you know what I mean. It could be a staple item throughout autumn and winter as it can be worn for both seasons. Basically, you can excuse the fact that you've spent over £50 on a hat as it's something that can be used time and time again. If you're looking for quality I would recommend the brand but for those of us who are on a budget, I would consider other options. If you're looking for a luxury knitted hat for the coming season, check out BKLYN. They also make scarves if you're interested in buying both. They'll probably have a colour combination to fit your sense of style and if not, the bobble can be removed and switched with another as it includes a metal press stud sort of button. So what are you guys thinking? Would any of you splurge on a bobble hat? With many celebs rocking the style recently it's obviously quite "in" at the moment. Let me know in the comments, I read every single one of them! 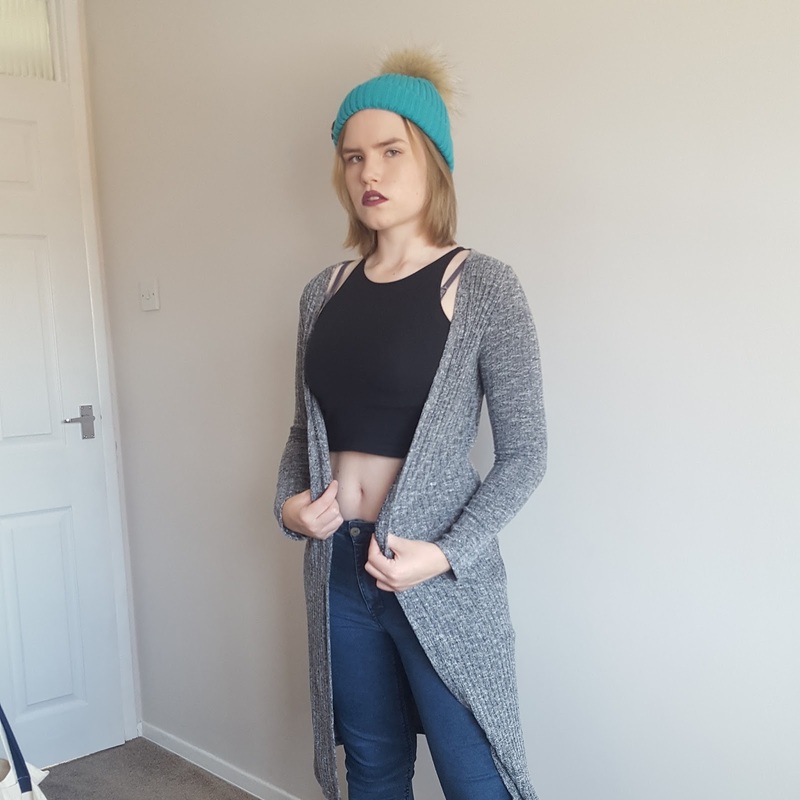 Thanks for reading my fashion post, it's not often I post anything like this so as always, tell me if it's something you want to see more of! This afternoons post is a little inspiration for breakfast, who needs Pinterest eh? I figured that it would be best to post this for anyone who wants to try it so the ingredients can be bought the night prior to the actual making of it. 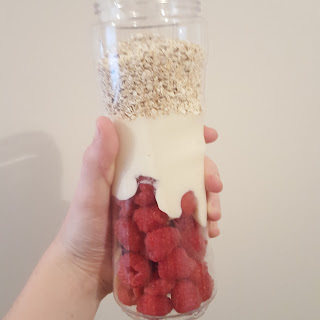 I made this smoothie, in all honesty, to use up the raspberries but it turned out quite nice so if you like raspberries it may be worth a taste! I hope to share a few more ideas over the next few months now that I have to fend for myself in the kitchen. 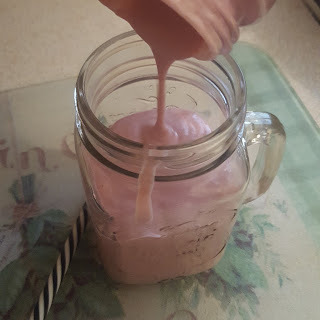 I enjoyed post recipes when I first got my blender months ago so let me know if this is the sort of post you want to see from me from time to time. Anyway, let's get on with the actual post! The recipe is simple enough and you can prepare it before you go to bed and blend before you go go. I think the oats give it a nice thick texture and make the smoothie more filling. You could always add any supplements or vitamins that you need to take so the taste can be masked. Just add them to the mix before you blend. I recently saw Jim Chapman's vlog where he added flaxseed oil in the actual oil form to his protein shake so this would be perfect for that reason. I am, however, yet to try flaxseed oil so perhaps I should give some of that a try in the near future. As you can see, this is actually quite a thick mixture. 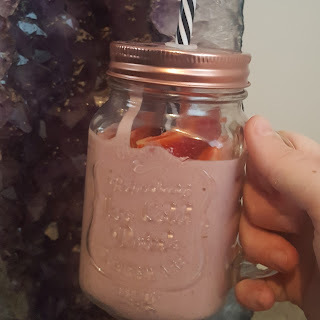 I don't know whether to call this a smoothie or a shake, is it more a smoothie if you you juice? I don't even know. I used strawberries to garnish but, as I said earlier, those are optional. I just wanted to make it look pretty and I had strawberries to use up as well. So that's my recipe post for today, I'd love to know what you think so if you fancy it or try it, let me know your opinion in the comments below! Thanks for reading, I always appreciate every single reader so say hi, I don't bite! 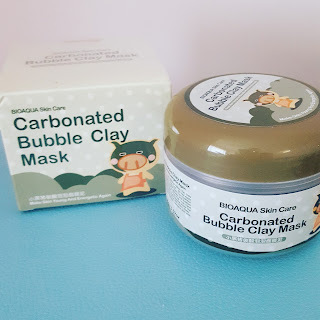 As you will already know if you have been following my blog for a while, I love Asian skincare. They're just more effective and much more fun than the products you can find here in the UK. I loved checking out the many different brands when I was in Asia and I do sometimes get an itch to try out more items. 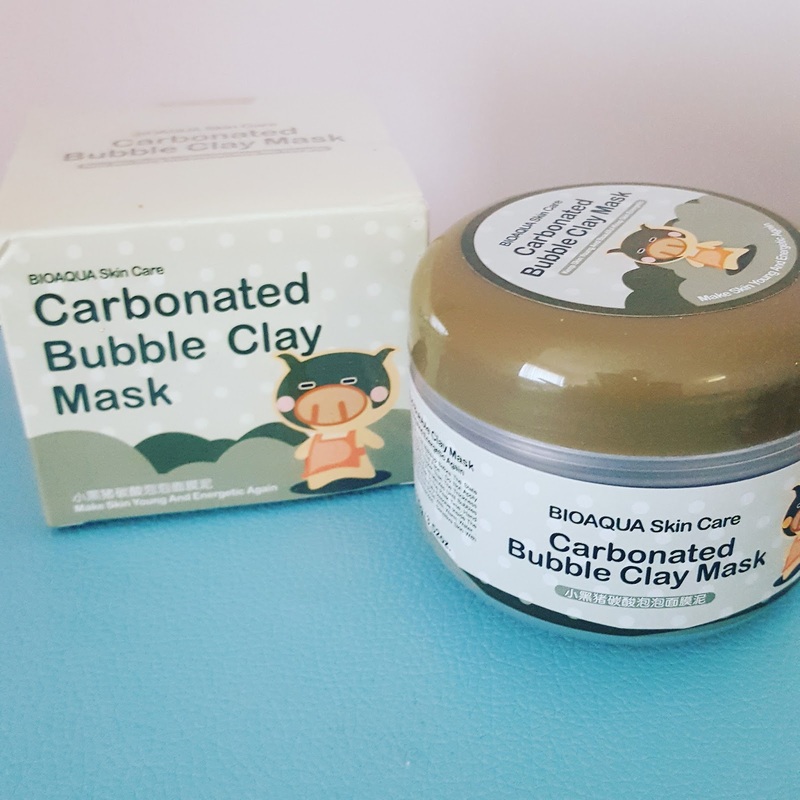 Speaking of fun skincare, today's post is all about the Bioaqua Carbonated Bubble Clay. This is a product that my housemate showed me weeks ago, I was really intrigued about it so I bought some online to try out. If you get it from Amazon or Ebay it can be quite cheap to have it delivered which is always a plus when buying such items. 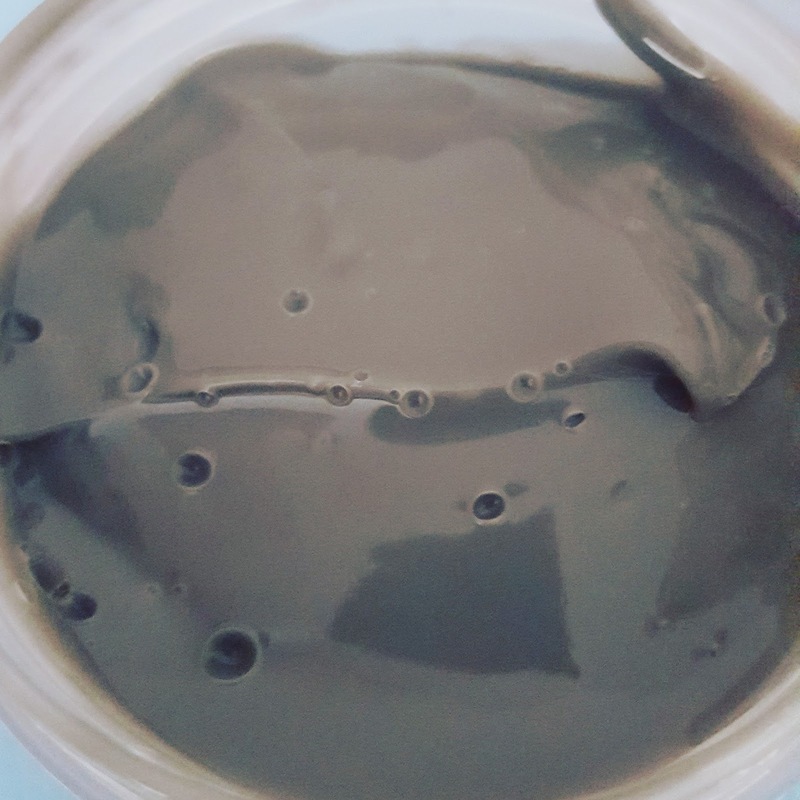 The consistency isn't exactly what the name suggests, it's less like a clay and more like a slime. It's not particularly sticky, not particularly thick and it spreads onto your face quite thinly. When applying the mask you should try to make sure that you apply an even layer or the mask won't have an even effect. Personally the mask left my face feeling clean, though, I wouldn't say that it felt deeply cleansed. It didn't effect my pores either way but the rest of my face felt refreshed and less congested. The carbonated side of the mask is the most interesting thing about this mask, once it has been applied it starts to bubble up. The sensation of it was not like anything I had felt before because I could feel the mask foaming up and bubbling against my skin. Once it has bubbled up it starts to bubble away again and leaves a very thin but sticky layer which you then just was away as it becomes like a face wash. So if I was to rate this mask I would give it a seven for the clean feeling after use and the novelty of the bubbles. I would deduct points for the lack of action against my clogged pores. 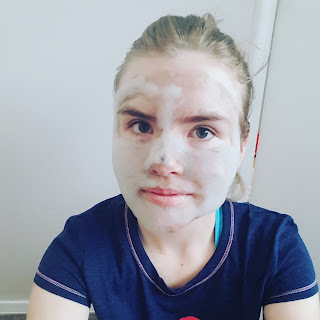 Thank you for reading today's post, I enjoy reviewing beauty products so this is a fun type of piece for me to type up. Let me know if you've tried anything similar in the comments below. Until next time, bye! After months of half preparation I've finally made the big step and moved out of my parents house. Last night was my first night in the new place with my best friend and it was strange to say the least. 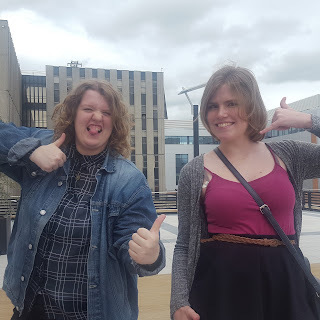 I had my little sister stay over to ease the transition a little bit so I probably won't feel it until she leaves but at the moment I'm not having any issues. It's honestly quite nice to have my own space to decorate as I please and do whatever I want with. 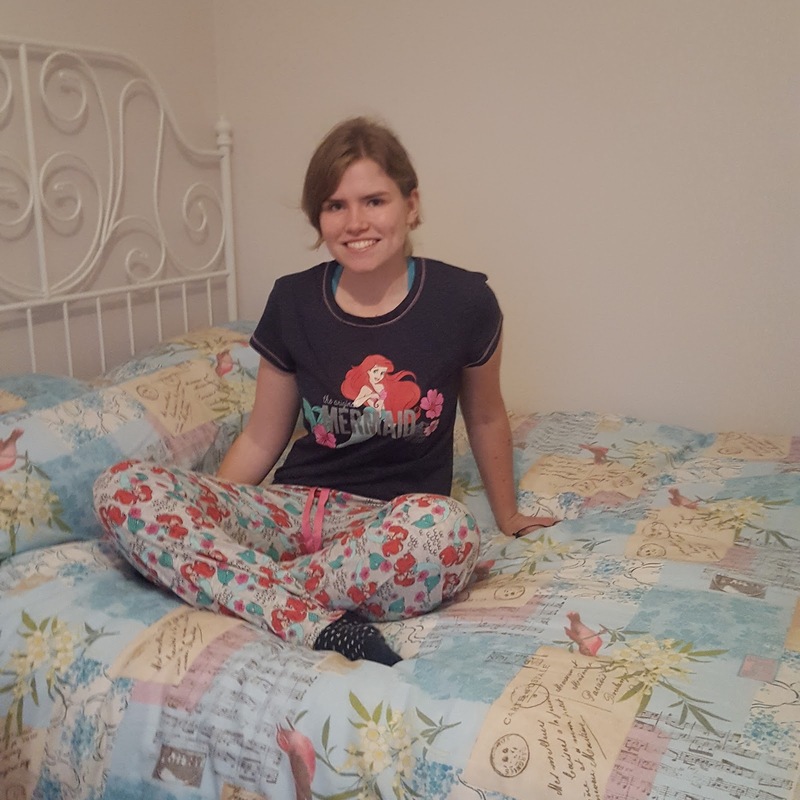 Fortunately my housemate and I have similar tastes, our bedrooms are pretty much the same but opposites really and the rest of the house seems as though our bedrooms have bled through to the other rooms. Having space to set up my own features is really nice and it means that I have some where to chill out and feel comfortable. 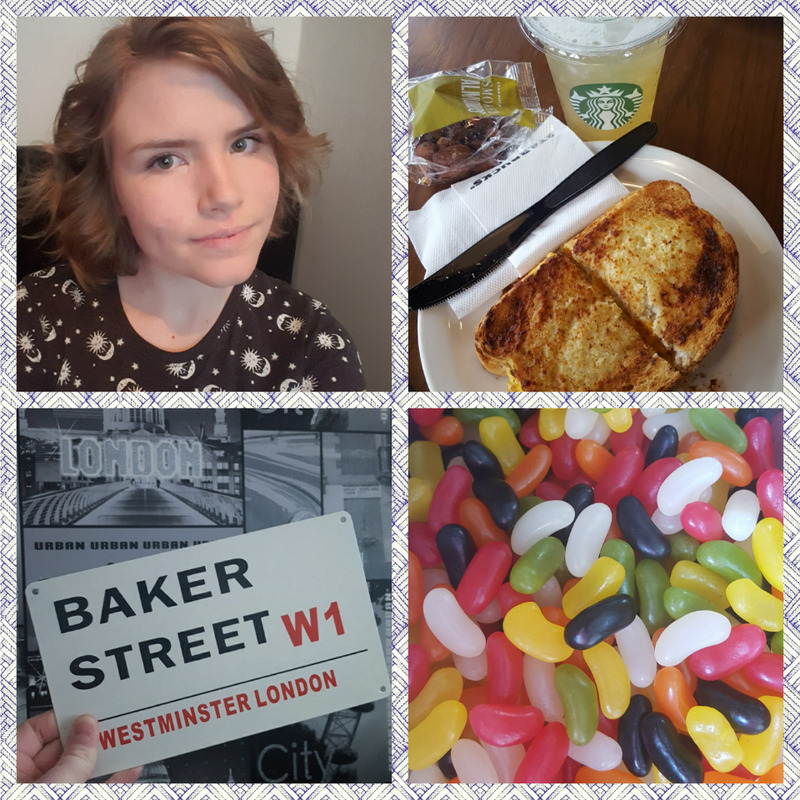 Blogging feels much easier to get on with when you're comfortable with your surroundings. I haven't ever been one to frame photos and make features out of them but I love my little arrangements. Really I have my dad and my landlords to thank for all this as they have all put in so much effort towards setting this up. My dad has helped me whenever he has had time and I really appreciate the fact that he's taken time out of his days after long shifts to help out. Last night was spent using Disney references and causing Jessica to facepalm, she didn't quite inherit my love for Disney. She did, however, inherit my love for Harry Potter so I guess I can forgive her. She's claimed my nightshirt that I bought from Primark so at least I don't have to worry about her forgetting her pyjamas! Well, that's it for today's life update. Up next is my review on a carbonated charcoal face mask for those of you interested in skincare and finding new brands to follow! 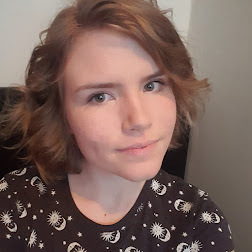 Thanks for reading, let me know if any of you have any tips for me! Hello everyone, so for those of you who aren't aware yet... I'm moving out soon, I don't have a date but I've started collecting the things I need so that I'm prepared for when I actually do leave my parents house. 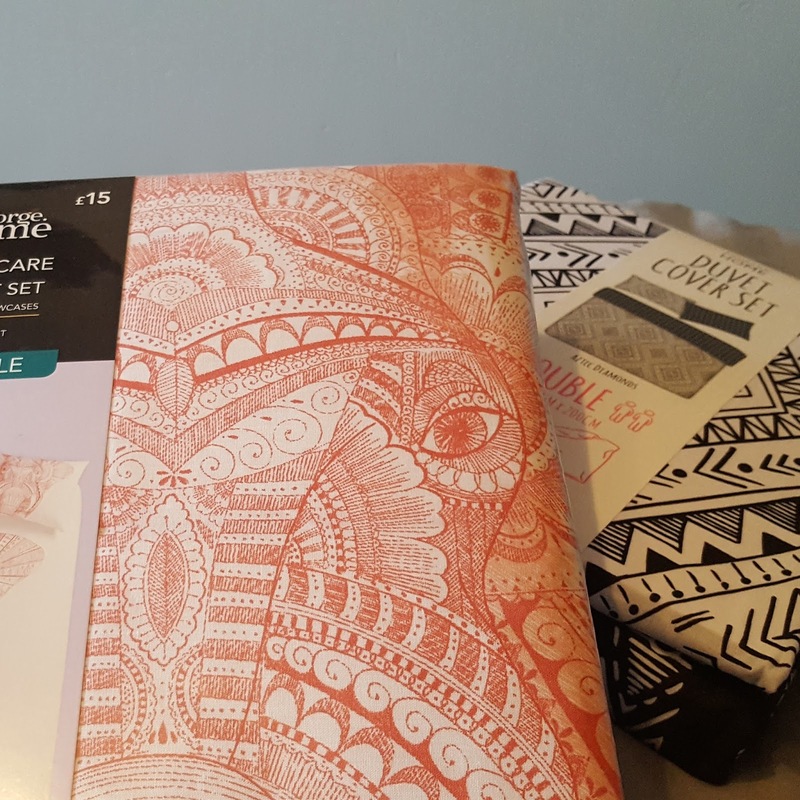 Today's haul is just for the duvet covers that I've bought so far as I'm switching from a single bed to a double bed and I didn't have any sheets. 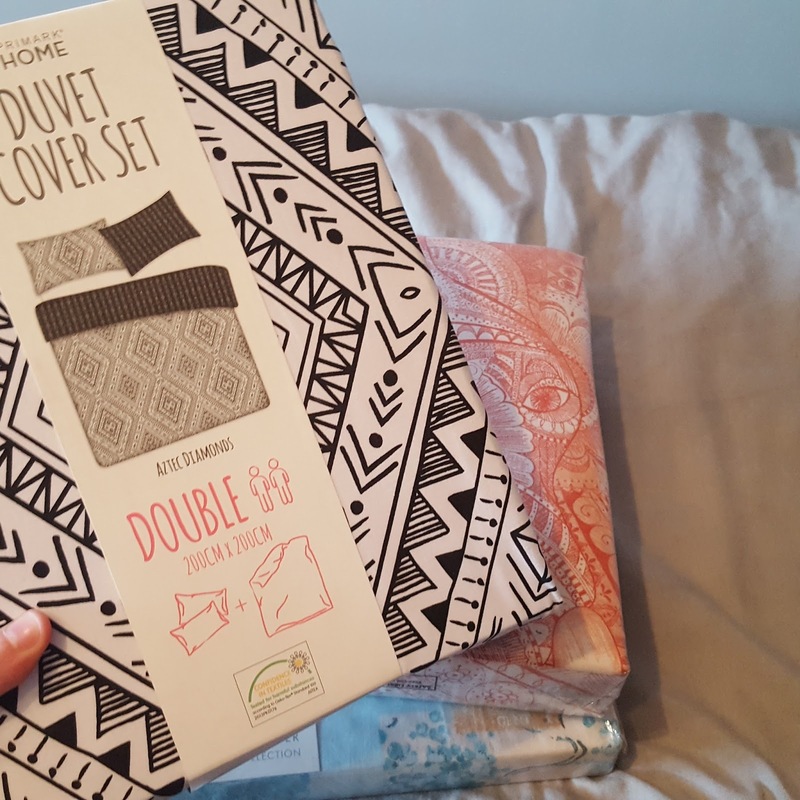 The first one that I want to talk about is this £15 double set with a rather ethnic elephant design on it. The quality of it is quite good considering the fact that it's from ASDA George and I adore the elephant design. Next up is this adorable monochrome set from Primark, it doesn't feel as thick as the ASDA George set but it was £14 I think. I just really like the double sided aspect of the set as I could easily change up the look. I bought some pale pink fitted sheets for from the same place as they will match my bedroom set and go with a lot of my furnishings as well as these duvets. Primark have quite a nice homeware collection if you take a few minutes to check it out next time you're in, they sell things like candle holders, throws, sheets and kitchen pieces which I thought were really cute. The third and final set that I have to show you guys was reduced at the Yorkshire Linen Company, it's from the Catherine Lansfield collection and I really just love the cut vintage look it has to it. I was looking at some softer looking designs as I seem to have gone for quite bold designs at ADSA George and Primark. I feel like the Yorkshire Linen Company has sales quite often so keep your eyes peeled as they reduce sets all the time. I saw a few sets that I quite liked whilst I was in the store but this was the one that made me want to spend my money. 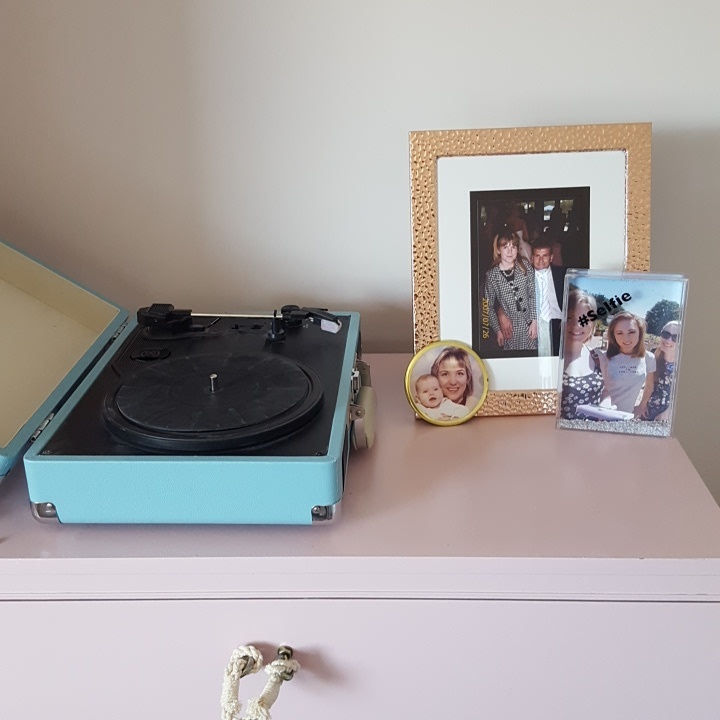 Money has been a bit of a focus during my homeware shop as I don't have a lot to spend on the luxuries but I want to create myself a space where I can feel peaceful and comfortable. 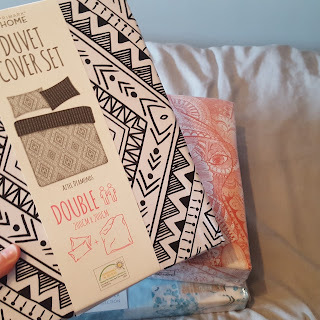 I hope you guys have enjoyed my micro budget duvet set haul, I just know that I enjoy reading similar posts so I thought that I'd share this with you all. Well, thanks for reading! Let me know what you think in the comments below. I'm so late to the party but last week I finally made the time to see the new Ghostbusters film. I haven't done a movie review in quite some time so just bare with me here, I'm getting there! So just as many other people were, I was slightly dubious as sometimes remakes can be awful, almost an insult to the originals. I also wasn't particularly sure about the female cast, I can't explain why; I guess I just didn't want the film to stray too far from the original. All four of the starring actresses are amazing, before this film I just wasn't sure how they would mesh together as a team. Fortunately my preconceived misconceptions were exactly that, misconceptions. The combination of the writers wit and the actresses portrayals of each of the characters made their chemistry on screen seamless. Melissa McCarthy as Abby Yates rang true with her acting style, it is sure to be one of her most well loved roles. Yates is a paranormal fanatic, a scientist and a total goofball and none of it seems unnatural or stale. Kristen Wiig as Erin Gilbert started off as someone repressing her belief in the paranormal for the sake of her career as a scientist, her character became interesting when she let go of the facade and started doing something she believed in. Leslie Jones as Patty Tolan had me laughing through most of her scenes, "THE POWER OF PATTY COMPELS YOU!" though that wasn't all she had in her favour. Tolan brought that little bit of familiarity to the team as she wasn't a scientist but she did have common knowledge about the city. Kate McKinnon as Jillian Holtzmann was perhaps my favourite character, as the token crazy genius of the film she looked comfortable with her quirks and I was very happy that her role wasn't sexualised as she could have been. That part was left to dear, daft Kevin (Chris Hemsworth). Overall I was pretty damn impressed with the casting decisions, it could have went wrong on so many levels and the film could have flopped but with the fab cast, cameos and references it certainly proved me wrong! I don't know whether to hope for a sequel or hope that they don't push their luck. I believe that 2016 was the right time for the release as the rise in girl power and feminism is at an all time high with many issues being brought to light. Who knows whether or not a sequel would be received as well in the future? 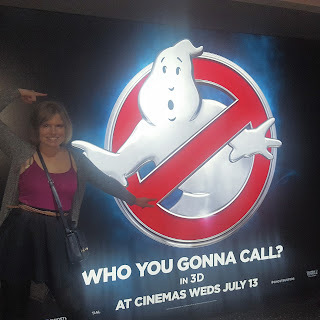 So that was my slightly babbling review of the Ghostbusters 2016 remake. Any thoughts? Let me know in the comments! As a general rule I don't take part in Facebook tags, I know, I'm supposed to be a social media buff but I find a lot of them a little preachy. 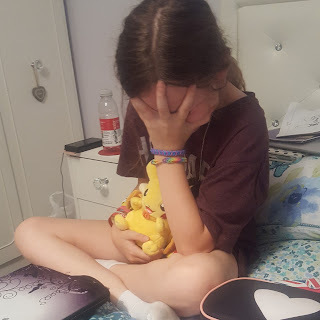 Recently, however, I've been in a bit of a blogging slump and my friend tagged me in this so here I am typing up the answers for my blog. So for this tag, basically there are six questions which have to be answered in four bullet points and four people have to be tagged. As always, I'll be leaving the actual tagging up to you guys so if you want to type it up for your blog just do it and let me know so I can check up on your answers! So there you have it, my answer to the Facebook thing I was tagged in. 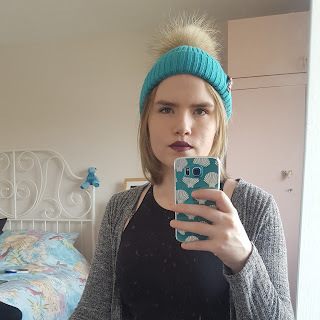 Hopefully it's helped you get to know me a bit better if you're new to my blog or if you wanted to know a little more about me. Thanks for reading! I'm a little off the wall blogger from the North East of England, I drink my weight in tea on a daily basis and I tend to quote books, movies and music. 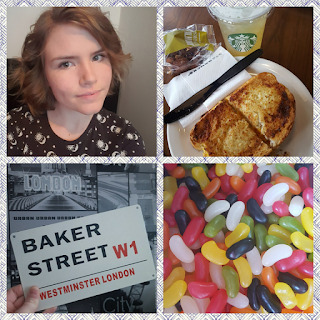 I blog about my life, beauty and fashion so you'll be sure to find a mixed range of content here. Thanks for visiting! 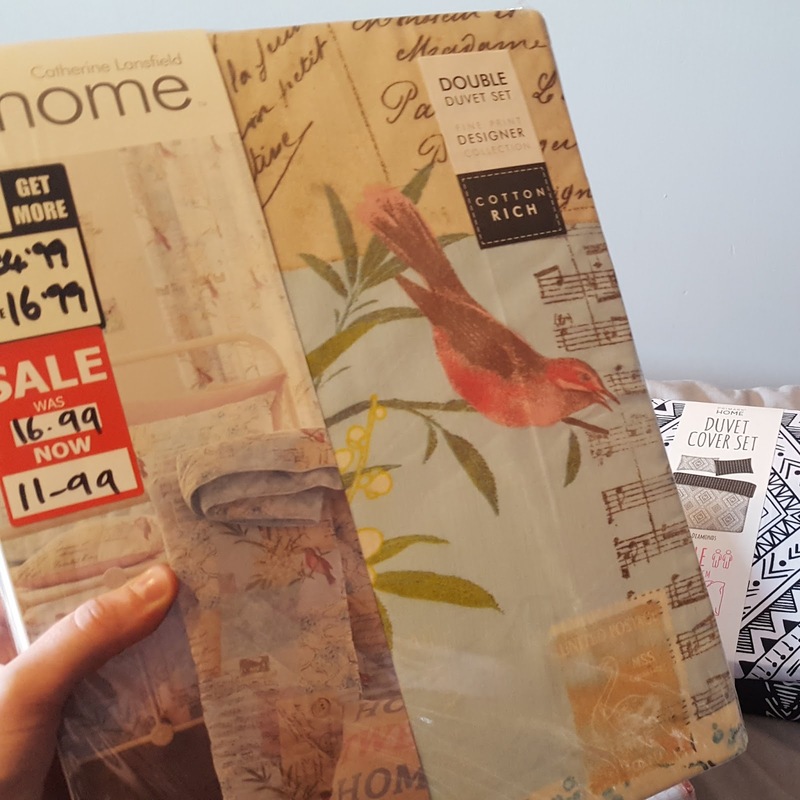 'Aymie Louise' is a lifestyle, beauty and fashion blog that includes honest reviews and accepts sponsored posts. If the product reviewed has been sent out, paid to be reviewed or anything else of that nature it will be announced within the post.